How Does A GP Manage IBS? Many people ask me who they should go to about their digestive problems and what usually happens during the assessment. You should be going to your GP to start with and they will assess you and do a number of tests to rule out other conditions. In the US and UAE, a GP is known as a family medicine doctor. 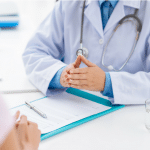 In this post, I have interviewed a UK doctor (and close friend) called Dr Charlotte Lowe to find out – how does a GP diagnose and manage IBS? Dr Lowe is in her the final stages of a postgraduate medical specialisation to become a GP which is on course to finish in July 2019. She has a specialist interest in lifestyle medicine and is a big advocate for exercise for her patients’ physical and mental health. Outside of her life as a doctor, she is also a professional dancer and also enjoys spending time with her cat, travelling and learning new languages. 1. What are the symptoms of IBS? IBS is characterised by an array of symptoms, including abdominal pain (which can be related to/relieved by opening your bowels), bloating, and changes in your bowel habit. These changes can include altered stool frequency (going a lot or very little to open your bowels) and altered stool form (hard, lumpy, loose, watery). Other symptoms can include straining, urgency to open your bowels, feeling of incomplete opening, symptoms worse on eating, and passing mucus from the back passage. There can be other related symptoms too, including general tiredness, nausea, and even urinary symptoms. 2. What tests, questions and examinations would you do to diagnose IBS? 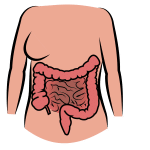 IBS is mostly a clinical diagnosis – we would suspect it from your answers to the questions about the symptoms above, other questions about you, your family and your lifestyle, and by examining you too (usually looking at your tummy, and sometimes your back passage). We would also need to exclude alternative conditions which may present in a similar way, and to do this, we might need to undertake further tests, including blood tests, a stool sample test, and even camera tests. This varies widely depending on the symptoms you have. 3. Which medications do you use for IBS management? Are there any side effects with these and how effective from your experience do you think they are at real long term symptom relief? For my patients, I would start first with advising the patient about lifestyle factors they perhaps had not considered. Such as plenty of physical activity, targeting stress, anxiety and mood problems, sensible alcohol and caffeine intake, and looking at their fibre intake, depending on their symptoms. After we’ve tried these things, I would then move onto offering a trial of medication, again, dependent on the symptoms. Of course, there are potential side effects with any medications we use, but some patients do find medications beneficial for managing their symptoms, in addition to the lifestyle changes I have already described. 4. Why don’t GP’s refer to dietitians? 5. Why do some GPs come across like they do not care? What are you thinking when you treat an IBS patient? I can’t answer for how other GPs come across- but I suppose that the fact we only have 10 minutes per patient (7-8 realistically when you account for other factors), may mean that GP consultations can come across rushed, the GP might be stressed and overwhelmed, or they might feel that their knowledge is lacking in this area; they might not be sure what to do next. When I treat an IBS patient, I don’t treat them any differently to anyone else – I recognise the problem, the impact it’s having on their life, and try to come up with shared solutions with the patient. 6. What is the next step for a patient after they have an IBS diagnosis? 6. The next step would be as I’ve described above; lifestyle modifications, looking at medications to potentially try, and finally, referral to a gastroenterology team if symptoms persist and the patient is struggling (or if I’m concerned that there might be an alternative diagnosis). At this point, I would talk to the patient about making a diary of their triggers, including different foods they feel might affect their symptoms, so that when they see the specialist team they can take this with them. 7. When would you refer a patient on to a gastroenterologist? I would refer to a gastroenterologist from the start if I feel that we need to exclude certain other diagnoses that require camera tests or scans. Once IBS is confirmed, I would refer as above if management in the GP setting wasn’t helping, or if the patient developed other symptoms that I was concerned about. 8. What symptoms should an IBS sufferer be worried about? Concerning symptoms include weight loss, blood in the stool, persistent vomiting, severe abdominal pain, any lumps in the abdomen or around the back passage, and sudden symptoms that start out of the blue, particularly in older people (50+). Unusual symptoms that seem to be related, including changes to a women’s periods, would need further investigation too. 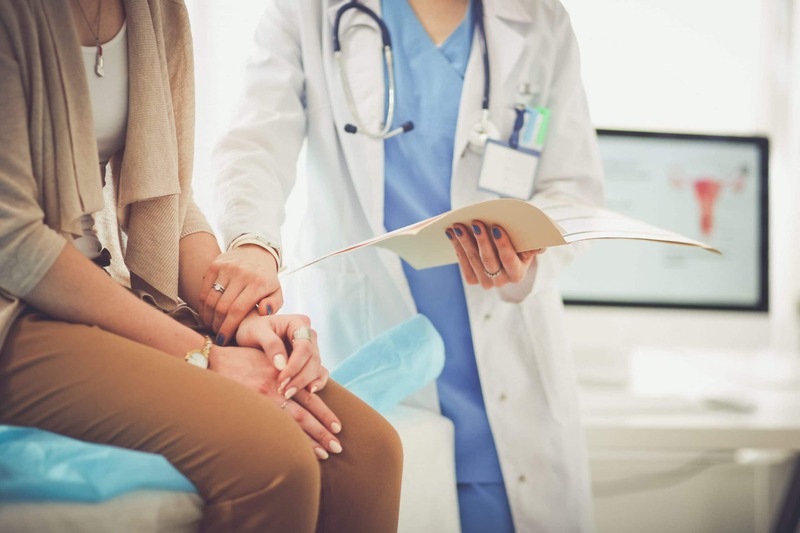 I can appreciate that there are other symptoms might be worrisome and/or troublesome for patients, so I would take into serious consideration any symptom that is having a significant impact on a patient’s life. 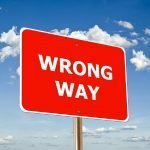 Of course we get it wrong sometimes- IBS unfortunately doesn’t have 1 test that we can do and it’ll give us a yes/no answer! Like I’ve mentioned so far, it’s a clinical diagnosis and this often means a period of monitoring by the GP to see how the symptoms might change, especially following modification of lifestyle factors. From my experience, I usually suspect IBS after first talking to the patient, I discuss the possibility of this with them, agree to perform some relevant tests to rule out other possible diagnoses, and then monitor the symptoms, reviewing the patient to see how they are getting on. 10. How disgusting do you find talking about digestive problems? Does it make you feel sick? I don’t find it disgusting at all- after 11 years of talking about, and examining people’s various body parts, it just doesn’t even enter my mind. Patients shouldn’t feel worried that they’re going to ‘disgust’ their GP- we’ve heard it all before (and probably more!). 11. Why do GPs tell their patients to ‘google’ the low FODMAP diet? This is wrong- and I wouldn’t do this. 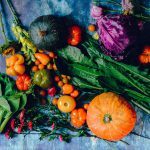 I am aware that the FODMAP diet should only be carried out under the supervision of an appropriately trained dietitian, and our national guidelines do state this too. 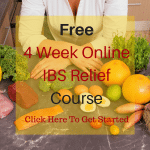 I have signposted patients to online IBS support groups (particularly to Kirsten’s resources! ), but I specifically advise my patients not to try and do the FODMAP diet alone. 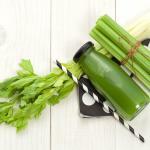 Previous Post: « How Does Fibre Affect IBS?